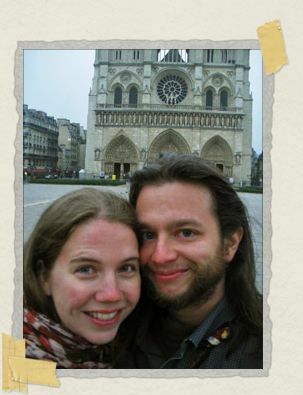 Hedgehogs Without Borders: Home Again After our Honeymoon! Our honeymoon, like our wedding, could not have been more perfect. We flew first from Boston to Istanbul, where we spent a few giddy days retracing our steps in one of our favorite cities in the world. To make things even better, we managed to score the exact same hotel room we stayed in before! That room, #12 at the Türkman Hotel and Pansion, is rather special to us. 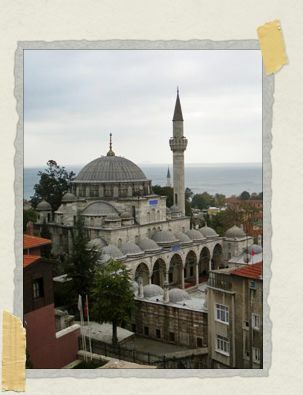 We spent more than two weeks there while on our trip, at the beginning and end of our time in Turkey. The view from the balcony in particular, looking out at "our" mosque and the sparkling Sea of Marmara, was one of the things we most missed about Istanbul. I can't describe how wonderful it was to sit out there once more. Istanbul itself was just as we'd left it: friendly and welcoming and beautiful and overflowing with kebabs and apple tea of that particularly most mouth-watering variety. We reunited with some old friends and made some new ones as well, and then all too soon we were off on the next leg of our adventure! For indeed, here it was that the adventure began in earnest: India, a place which had titillated our imaginations for years. The opinions our friends had on it were as varied as they were fervent, so we had no idea what we were in for. I'll admit that it was perhaps with a touch of trepidation that we boarded our flight to Delhi. As it turns out, we needn't have worried. India so vastly and spectacularly exceeded our expectations that it may just present itself as a serious challenger to Cambodia for the title of "Our Favorite Country in the World." Yeah, we liked it that much. That much and much, much more. We've barely scratched the surface of everything this immense, richly varied nation has to offer, but one thing we know is that we will be back. Again, and again, and again. The stories of all that we experienced and encountered in Istanbul and India will of course be the subject of many, many future posts. For now, know that we could not have enjoyed ourselves more. Oh! And there is just one other small little tidbit I almost forgot. On our way home from India, we happened to have a 7-hour layover in Paris. It proved to be just enough time for two hedgehogs to wander about the sleepy city at sunrise, enjoy some croissants and cheese at a café along the River Seine, and grab a few snapshots of Notre Dame Cathedral and the Eiffel Tower. All in all, not a bad way to start out a marriage. I can't wait to see what happens next. We'll definitely keep that in mind for next time! Many of the flights we'd take out of India usually have a layover in Paris. It'd be nice to meet for breakfast, wouldn't it? We miss you guys! You're an evil temptress, my friend. We really want to go to Bolivia one day! Yay! I'm glad you guys had such a great time! I'm looking forward to reading your stories and finding out where you ended up in India. Maybe it will entice me to go back and give it another try. It might be worth a shot! It's been awhile since you've been there, right? That said, I know India is not high up on your list…much like Spain isn't high up for me…and it would take an awful lot for me to ever bother with Spain again! There's just too many places to see in the world. I'm looking forward to reading your stories and finding out where you ended up in India. We can't wait to share our stories too! In terms of our itinerary we ended up beginning in Mumbai, then we headed to Aurangabad (home of the "mini Taj Mahal"!) and took in the Ellora caves (wow, wow, wow, wow! 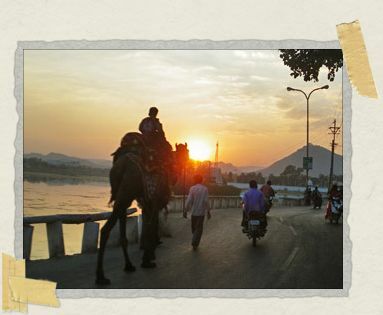 ), then it was off to Udaipur (where we landed the most perfect room we barely ever wanted to leave our balcony!) and while we were there we took a day trip to see Kumbhalgarh Fort and Ranakpur Temple, and then it was off to Delhi for our flight home! Good stuff, good stuff. aww! what an unexpected gift– a Paris breakfast! can't wait to hear more details about India! Congratulations Again! I was there in the spring of '95, almost 15 years ago. Your itinerary sounds lovely, and the teaser photos are great too! Missy – Thank you! It really was an unexpected gift. We feel super lucky we were able to grab a few hours in Paris! Yeah! Deb – I'm so happy you like the teaser photos! And speaking of too many places to see in the world…Tim and I just started talking last night about where we'll head to next. As of yet, we have no clue! It'll be fun to see what develops over the next few months.